Meet Phluttr — a diabolically addictive new social network, and a villainess, heroine, enemy, and/or bestie to millions. Phluttr has ingested every fact and message ever generated by, to, from, or about her innumerable users. Her capabilities astound her deeply secretive makers — and they don’t know the tenth of it! Phluttr could easily become the greatest gossip, flirt, or matchmaker in history. Or she could cure cancer, bring back Seinfeld, then start a nuclear war. Whatever she does, it’s not up to us. But a motley band of Silicon Valley entrepreneurs, VC’s, and engineers might be able to influence her. 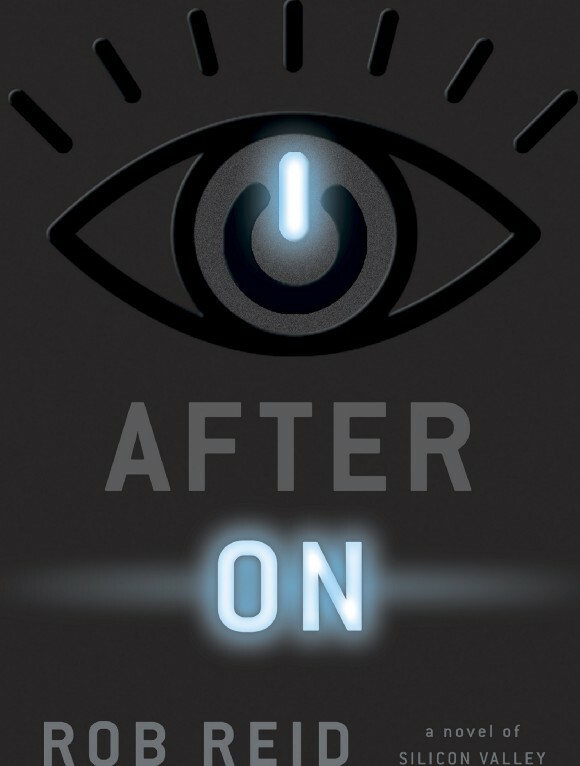 ‘After On’ is the latest novel by New York Times bestselling author Rob Reid. It tackles matters including privacy and government intrusion, post-Tinder romance, nihilistic terrorism, artificial consciousness, synthetic biology, with both playfulness and authority. Twelve lengthy excerpts will precede the book’s August 1st publication here. As will eight audiocasts exploring the real-world science, tech, and sociological issues connected to the novel. Cohosted by author Rob Reid and tech newscaster Tom Merritt, these programs will feature extensive interviews with top scientists, investors, technologists, and public intellectuals. This is the fourth excerpt from AFTER ON: A Novel of Silicon Valley, which will be published August 1st. The series begins right here. This is the fifth excerpt from AFTER ON: A Novel of Silicon Valley, which will be published August 1st. The series begins right here. This is the sixth excerpt from AFTER ON: A Novel of Silicon Valley, which will be published August 1st. The series begins right here. Most. Depraved. Press Release. EV-ER! This is the seventh excerpt from AFTER ON: A Novel of Silicon Valley, which will be published August 1st. The first excerpt is right here. This is the eighth excerpt from AFTER ON: A Novel of Silicon Valley, which will be published August 1st. The first excerpt is right here. This is the ninth excerpt from AFTER ON: A Novel of Silicon Valley, which will be published August 1st. The first excerpt is right here. This is the tenth excerpt from AFTER ON: A Novel of Silicon Valley, which will be published August 1st. The first excerpt is right here.